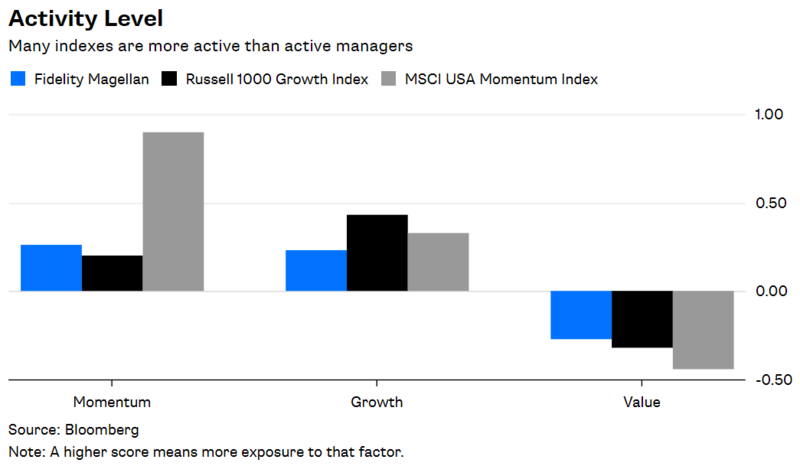 Here’s why: According to Bloomberg’s analysis of Magellan’s holdings, Feingold’s preferred investing styles — or, in technical terms, the factors he uses to try to outpace the market — are growth (buying fast-growing companies) and momentum (following the trend). But fans of growth or momentum investing have better options. Consider that Magellan has returned 14.8 percent annually under Feingold from September 2011 through May, including dividends. 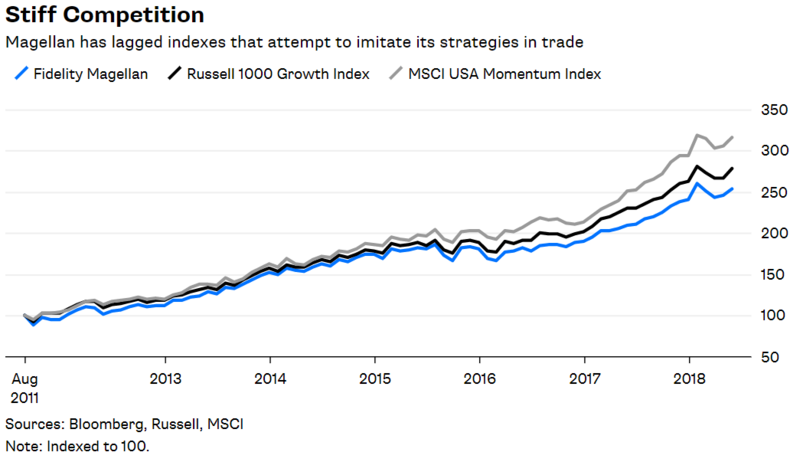 By comparison, a 50/50 mix of the Russell 1000 Growth Index and the MSCI USA Momentum Index has returned 17.5 percent a year. The index mix was also less volatile. Magellan’s standard deviation was 12.5 percent during the period, compared with 10.8 percent for the 50/50 mix. And the coup de grace is that investing in funds that track the indexes is far cheaper. Magellan charges investors 0.69 percent a year, whereas the iShares Russell 1000 Growth ETF and the iShares Edge MSCI USA Momentum Factor ETF charge 0.2 percent and 0.15 percent, respectively. The challenge for stock pickers isn’t just the fee drag. It’s that the indexes are in many cases more active than the active manager. Bloomberg scores funds based on their exposure to various factors. The scores range from negative 3 to positive 3, with zero representing the broad market. The further away from zero, the bigger the active bet. By that measure, Magellan is far less active than the growth and momentum indexes. The fund scores 0.23 for growth, compared with 0.43 for the growth index. Magellan also scores 0.26 for momentum, compared with 0.9 for the momentum index. Investors who believe that bets on growth and momentum boost returns are also likely to believe that the indexes will continue to outpace Magellan over time. Sure, some investors might prefer a more modest bet on growth or momentum, but it’s only a matter of time before index funds offer them choices around the intensity of factor bets, too. What are active managers to do? They should take a cue from bond maven Bill Gross. Financial pundits pounced on Gross last week after his Janus Henderson Global Unconstrained Bond Fund slid 3 percent on Tuesday — an unusually large one-day decline for a bond manager, particularly when many of his competitors posted gains. Gross is playing a more ambitious game than most bond managers, however. 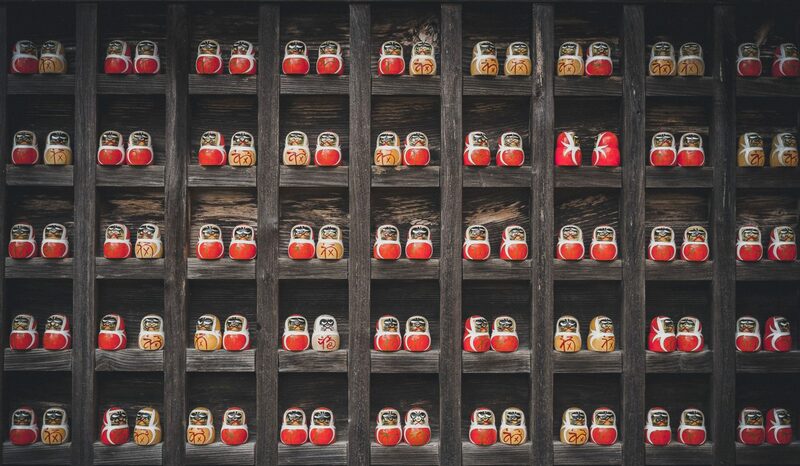 Like stock pickers, bond managers can lean on various factors to try to outpace the broader bond market, such as varying the credit quality or the maturity of their bond portfolios. And as with stocks, a growing number of bond indexes do just that. One is the Bloomberg Barclays U.S. 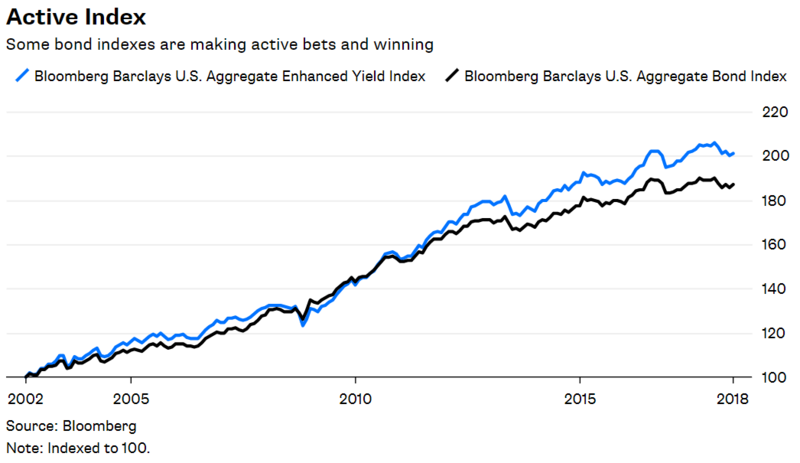 Aggregate Enhanced Yield Index, which weights the bonds in the Bloomberg Barclays U.S. Aggregate Bond Index based on yield rather than market capitalization. The effect is a collection of bonds with lower average quality and longer average maturity. Both of those attributes should result in higher risk and return over time, and they have. The enhanced index has returned 4.5 percent annually from September 2002 through May, with a standard deviation of 4 percent — the longest period for which returns are available. By contrast, the aggregate index has return 4.1 percent with a standard deviation of 3.4 percent. Bond managers will have to do even better if they want to remain relevant. That means making bold and unconventional calls rather than tinkering around the edges or imitating a factor index. Gross is one of a few active managers attempting to do it. His fund’s average effective duration — a measure of a bond’s expected decline for every 1 percent increase in interest rates — is a negative 0.2 years, according to Morningstar data, a huge departure from the enhanced index’s duration of 6.9 years and the aggregate index’s duration of 5.9 years. It’s also the seventh-shortest duration among fixed-income mutual funds. Gross is also taking much more credit risk than the indexes. His fund’s average credit quality is BB — also known as junk — compared with BBB for the enhanced index and AA for the aggregate index. Given his gutsy bets, Gross’s fund is likely to endure more swoons. But win or lose, he’s making moves that the indexes can’t. It’s a gamble that Magellan and other active managers will have to take or watch more of their assets walk out the door.